At Capital Financial Advisors of New York, LLC we focus solely on assisting you in achieving your life goals through the proper management of all of your financial resources. We measure our success by your success in attaining your objectives. We nurture long-term relationships with a limited number of clients, and we work closely and continually with them. Our personal touch sets us apart. Although we are not a large organization, we have the experience and the expertise to provide the highest quality wealth management. Working as a team allows our clients to benefit from the diverse backgrounds of our advisors. Capital Financial Advisors of New York, LLC brings together four registered investment advisors with many decades of diverse experience in financial management and planning. Walton Williams and Paul Corr are Certified Public Accountants licensed by New York State and Personal Financial Specialists qualified by the American Institute of Certified Public Accountants. Kerry Mayo is an economist and a Certified Financial Planner® practitioner. Paul Corr and Julie Sciandra are also a Certified Financial Planner® practitioners. Julie Sciandra has an extensive background in investment research. 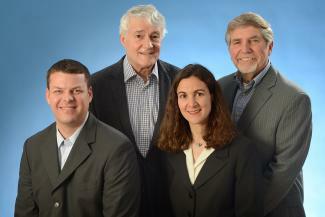 All are members of the National Association of Personal Financial Advisors (NAPFA). In fact, Capital Financial Advisors of New York, LLC is Upstate New York’s only NAPFA corporate member.